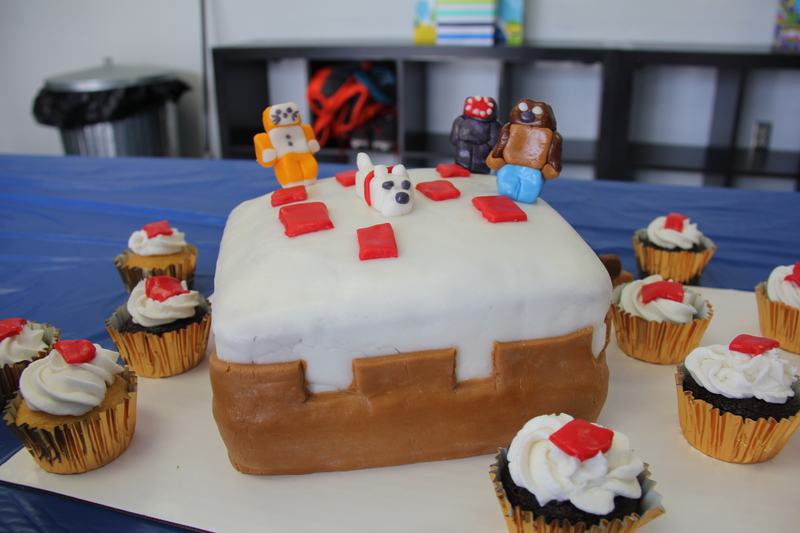 Camerons 9th Birthday Minecrat Cake Birthday Cake. . HD Wallpaper and background images in the Stampylongnose club tagged: photo. This Stampylongnose photo contains cupcake, bereift schichtkuchen, mattkuchen, and gefrostet schicht-kuchen. There might also be pfannkuchen, baked alaska, gebackene alaska, and esstisch.